Although pizza is a staple of both Chicago and New York, the two different styles are very different. 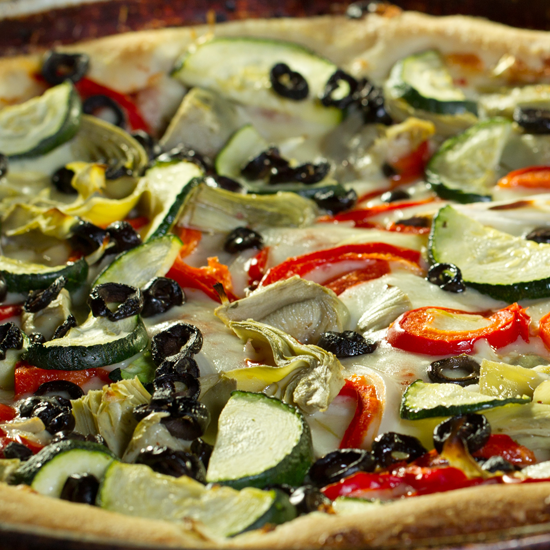 From the crust to the toppings to the way you eat the food, the two styles offer completely different experiences. Here is a look at some of the differences between Chicago-style and New York-style pizza. One of the most fundamental differences between Chicago-style and New York-style pizza is the style of their crusts . New York pizza features a crispy, thin crust that allows you to easily fold it in half and eat it on the go. On the other hand, Chicago deep-dish pizza tends to be more of a sit down meal that you might eat with a fork and knife. Due to the flat, triangular nature of a slice of New York-style pizza, are typically limited to a few toppings. On top of the crust and the cheese, there is usually only room for two to three more toppings. Chicago’s deep-dish pizzas, however, can offer layers of toppings thanks to the thicker, denser dough. If Chicago-style pizza has room for more toppings, it also has room for more cheese. Whereas New York-style pizza tends to come with a single layer of mozzarella cheese, its Chicago-style deep-dish counterpart can be loaded up with a variety of different cheeses. New York pizza sacrifices some crust density to make room for its single layer of cheese, while Chicago pizza has plenty of both. One further distinction that is made between Chicago and New York pizzas is the amount of oil. A New York slice will likely be covered with oil to the point where it pools on the surface as well as drips off of the bottom. With the extra room that Chicago deep-dish slices afford, the oil is more evenly distributed and tends to stay drier rather than pooling. To learn more about the differences between Chicago-style and New York-style pizza, contact the pizza professionals at Pizz’a Chicago . We make delicious Chicago-style pizza in San Jose and Palo Alto. For more information about our services, feel free to visit our website. If you live in the area, call (408) 283-9400.